I was a super-happy, fairly normal little girl… but kind of a weird adolescent. I know, that sounds redundant—aren’t we ALL weird as adolescents? Yeah, but by the summer of 1977, a a few extra factors were contributing to my particular brand of weirdness. I was one of the only kids I knew being raised by a single mom. I had just started to experience a lot of bullying that made me feel unsafe but I couldn’t talk about it. I was starting to do badly in school, after an elementary school career consistently at the top of my class. Unlike every other 8th grader I knew, I had no desire to experience “more” of the world or really to keep growing up at all. And finally, I thought a lot about death, and what happens after we die, and how everything dies, and how every day, just a teeny bit, I was dying too. It took me a long time to figure out that the reason I didn’t want to grow up was because I was afraid—afraid that if I grew and changed too much, when my Dad came back, he wouldn’t recognize me. The reason I thought so much about death was that, after four or five years of pretending it hadn’t happened, my brain was finally able to process the fact that my Dad could not come back. I really remember the second time I saw it. It was the first time I went to the movies by myself. I don’t recall if I tried to get a friend to go with me—chances are, I didn’t, because I was always too afraid to call my friends’ houses, assuming that they would not want to spend time with me, even though they were, you know, MY FRIENDS (I mentioned my weirdness, right?) I walked to the Arlington Theatre (RIP, Arlington Theatre.) It was super-hot and felt like a long way. I may have pretended I was on Tatooine. All I knew was that I HAD to see Star Wars again. Look, thousands of people have written about Star Wars and why they love it. I guarantee, 99 percent of those reasons apply to my love of Star Wars. As an actual person who was actually alive in 1977, I can confirm that the movie just felt different somehow. The hero whined, the princess shot a gun, the droids were amazing and they didn’t communicate in monotone “robot talk,” and the villain was actually villainous. He snuffed a whole planet full of people out of spite! 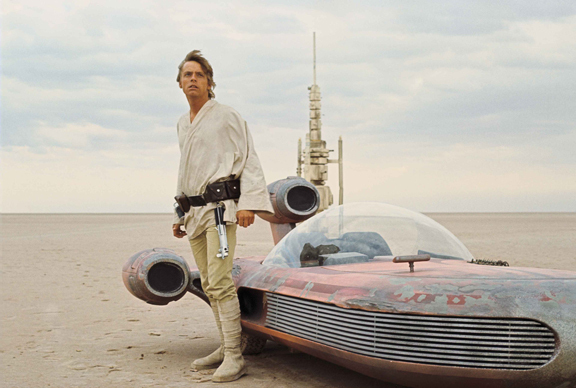 Luke’s landspeeder was a beater. I can’t stress that enough—his car was dirty, which made the whole movie feel more authentic. Star Wars had spaceships and alien jazz bands, but it was a world that also wanted to be real. There was more in the movie that spoke to me. 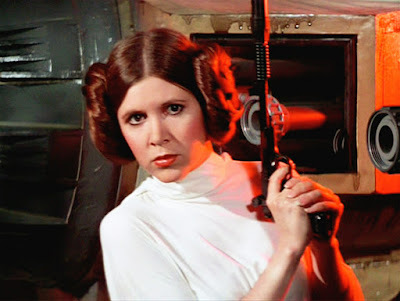 I didn’t identify with Princess Leia, though I knew I should because she was the girl. Yet, she was way more badass than I was. I would have loved to hang out with her, but I wouldn’t dream that I could be like her. I didn’t identify with Luke, either; I knew plenty of callow boys with feathered hair who planned on being heroes once they got into the wider world, so he didn’t seem that special. (RIP, feathered hair.) No, I identified with Han. Like me, he was a cynical “underachiever.” (If I’d gotten a nickel for every time I heard that term in junior high, I’d have imagined killing myself by jumping off my pile of nickels.) Han ended up being better than he thought he could be, and as a confused kid who didn’t think much of herself, I needed that role model. 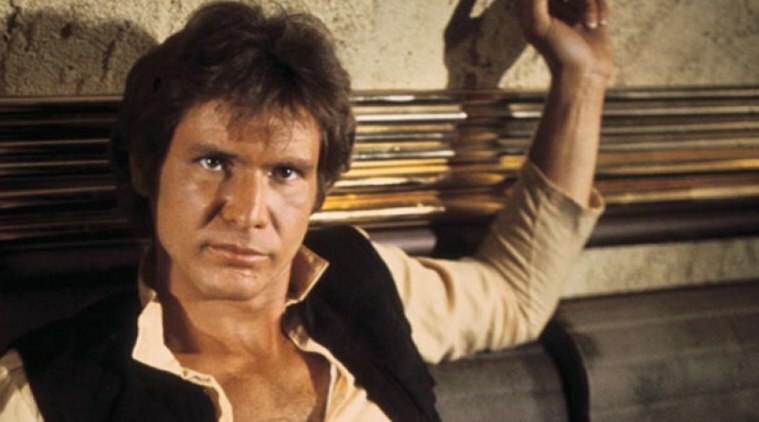 For maybe the first time in Han’s life, he decides not to disappoint people just to get the disappointment over with—but to grow up, show up, and do something worthwhile. Maybe if he could, I could. I didn’t know then that was why I loved Han, but I know it now. 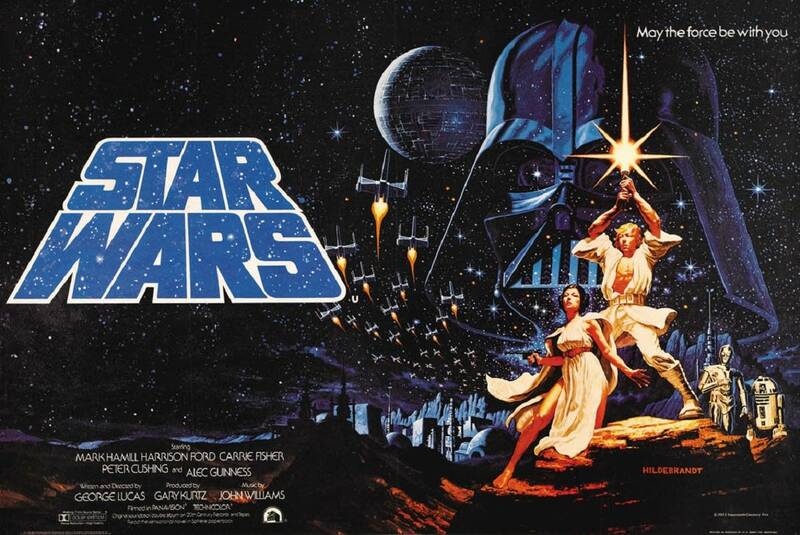 Star Wars was the perfect movie for me to love that summer. I’m so thankful that I saw it when I did. It was a time I needed to learn something from all three main characters, and even from Obi-Wan (whose explanations of “The Force” helped me re-contextualize my Catholic upbringing into something that felt more authentic to me) and Chewie (who didn’t care how his shaggy brown hair looked either.) Like my own life, Star Wars straddled two worlds—a “real” world full of dumb stuff like the people who raised you dying, and a cooler world of light sabers and Death Stars and pew-pew-pew. It helped me think I could be a part of both too. What’s more, my desire to walk across the hot sands of Tatooine, Illinois to see it again was the first time I admitted to myself, “Hey—I think I really LOVE movies.” They’ve been helping me deal with my weirdness ever since. 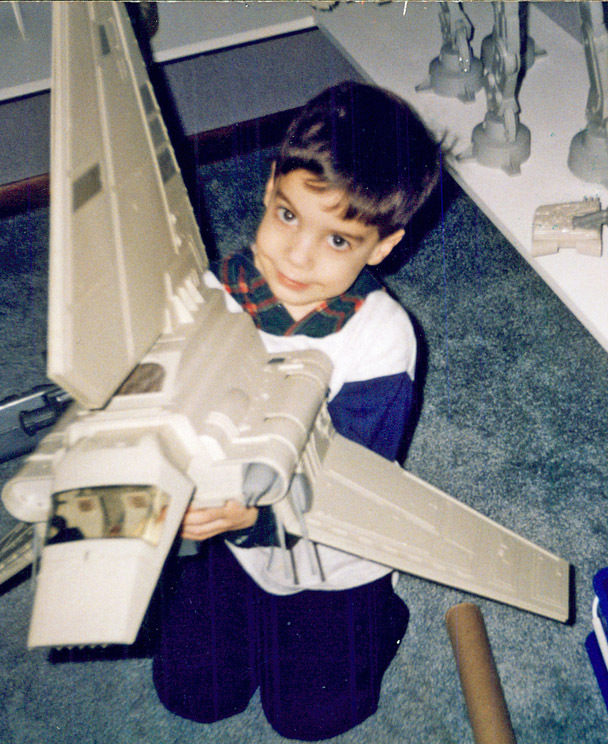 Fast-forward almost 20 years, and I found another reason to be deeply grateful for Star Wars. It was about 1993, and my husband and I were hanging out at home with our toddler. Star Wars was playing, probably on laser disc. (RIP, laser disc.) Suddenly, my son stopped what he was doing to stand stock-still in front of our television, mesmerized by the images, the sounds, and John Williams’ sweeping score. The toy dropped from his hand as he gazed up, transfixed. I felt my heart swell with joy and gratitude as I realized what was happening: he was becoming a Star Wars fan. You've definitely proven your worth to the world, Jan! Great article! I learned more about my friend today (It's Jan). Beautiful column! Almost cried reading this. Beautiful piece, Jan. We don't appreciate Star Wars enough these days. So what if *whoever* didn't like *whatever* entry? Star Wars is the best.